Super Sunday coming your way! New release: Sour Patch FIBS || Saison Fermented in Chardonnay Barrel. 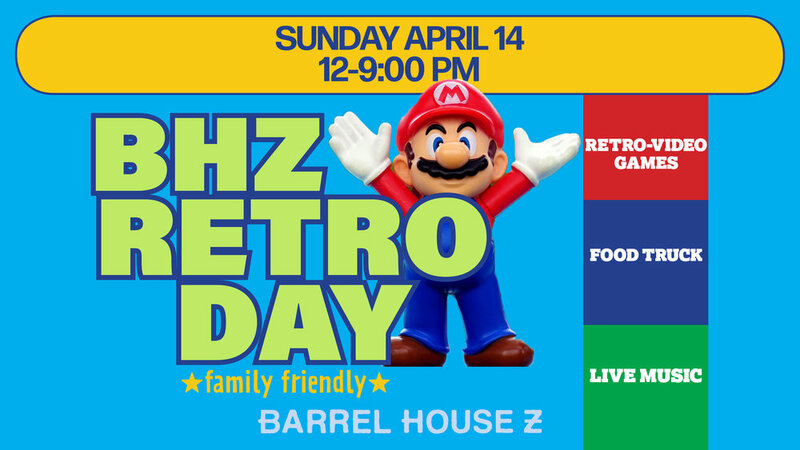 We'll have retro-video games with Bowser's Basement from 1-5pm. Da Bomb Food truck. And starting at 5pm, one of the best bands around: That 80s Band. Gonna be real good and very family friendly. PS We are staying open an hour later! !